The final day of M-Class racing for the 2017/2018 season was massive. Four races were scheduled which also incorporated the Scott Wilson Memorial Trophy. By traditional, and deed of the trophy, the Scott Wilson Memorial is three windward/leeward races and one harbour course. 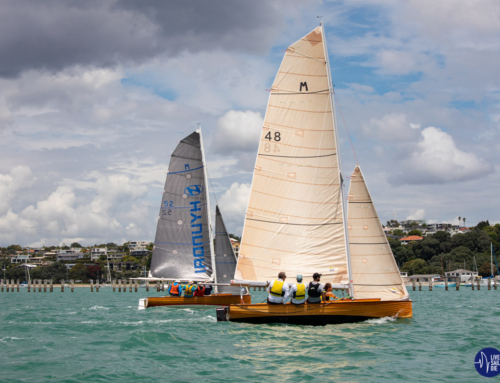 There was no end of excitement with 15-25knots and the occasional 30 knot bullet shooting down the harbour, resulting in all three of the competing boats capsizing their traditional clinkers in spectacular fashion. 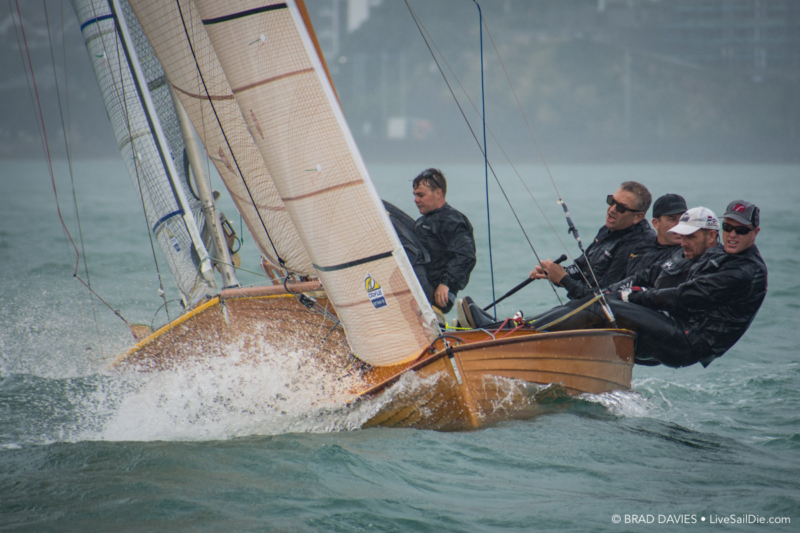 “We had the perfect dismount with our capsize!” laughed Jon Andrews, skipper of Marksman. 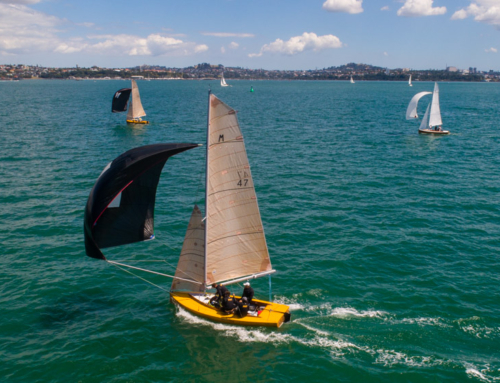 “We ended up on Mission Bay beach and provided all kinds of entertainment to the bus loads of tourists who just happened to be checking out the area.” Marksman capsize was during race three, a windward/leeward course. Menace had their swim during race two, and although they spent a bit of time in the water, they managed to get themselves upright and finished the race within the time limit. Mach One rounded out the capsize trifecta which made the rest of their day difficult due to a broken vang. “You kinda need vang in breeze!” said skipper Nick Hanson. “We may have all had a swim, but it was an awesome day of racing. Such a good way to end the season,” continued Hanson. Between the swims, each boat had some epic rides showing that the M-Class still has was it takes to provide great racing and even better sends. “These boats are great. 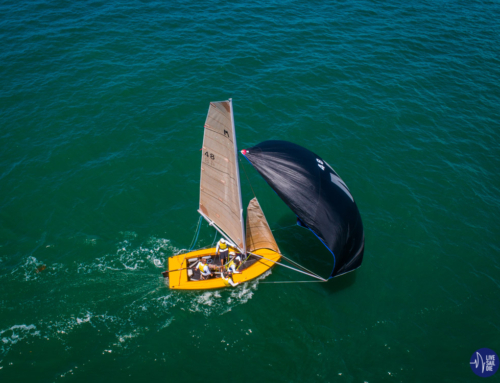 They are challenging, but I’m stoked to be sailing one,” said Jon Andrews. Now it’s time to pack up the boats, tuck them away for the winter hibernation before the start of the 2018/2019 season which kicks off in October.